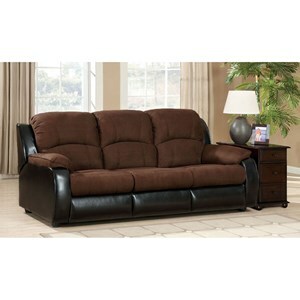 Welcome the contemporary style of this upholstered sofa sleeper. 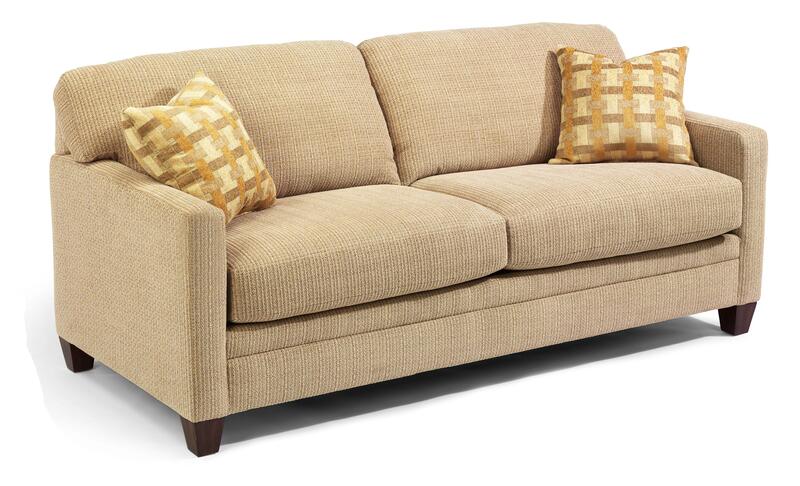 This sofa features a queen bed that will pull out for over night guest in your family room or living area. Track arms and exposed wood legs add a simple and stylish appeal to this sofa. Shown with two additional throw pillows will give extra character and depth to this sofa. Available in over 1,000 fabrics, create the one of a kind look you want for your home! The Serendipity Upholstered Queen Sofa Sleeper by Flexsteel at Rooms for Less in the Columbus, Reynoldsburg, Upper Arlington, Westerville Ohio area. Product availability may vary. Contact us for the most current availability on this product. Arm Sleek track arms offer a contemporary look.